6 panel baseball cap with a constructed crown, vintage plastic snap back and a retro flat bill. 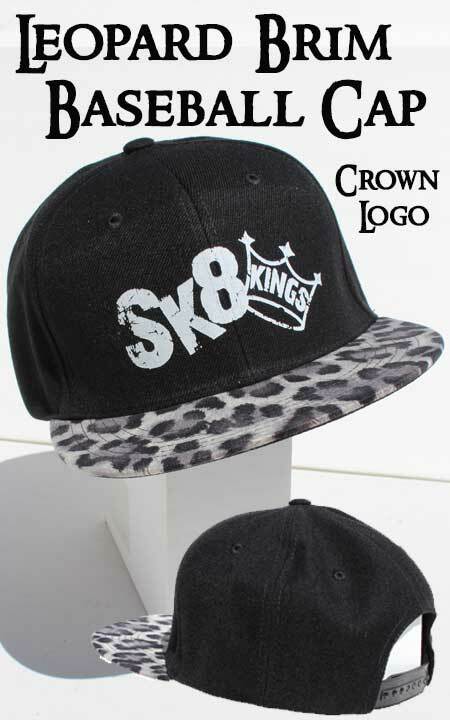 Black cap with leopard print brim screened in white with our Crown logo. Size (S-XXL - Depending on style). Choose the shirt or hat style under "SAVE $5 - ADD:" option at checkout and specify your choice of logo and size for the second item in the "Notes" section.